If Mario Teaches Typing provided one interesting way to introduce younger gamers to the joys of the art of typing, then this is another great one which does so in an entertaining and educational way. 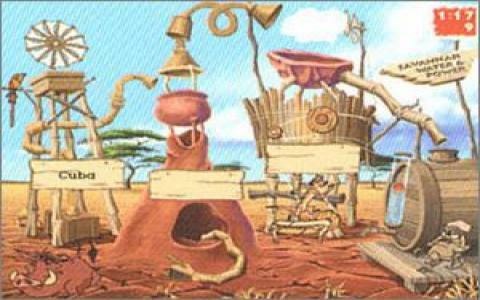 It's got plenty of variety with a neat set of minigames which aim to practice several skills and which is presented in typically charming fashion by the real stars of the Lion King. 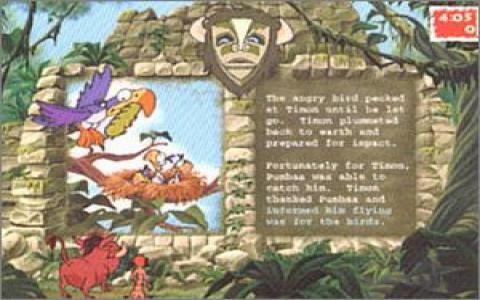 As Timon and Punmbaa go off on an adventure, they are advised to take a keyboard along which is basically a setup for some nice little games. 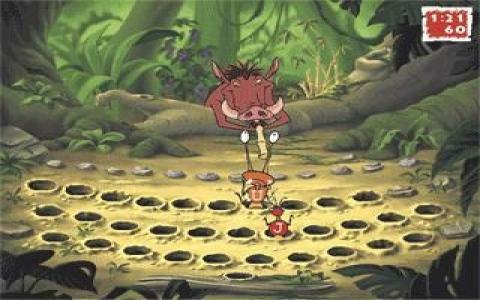 The first is a variation on whack-a-mole, where lettered bugs run across the screen and hitting the right key causes Pumbaa to shoot them with his pea shooter. Next one up sees you trying to fill up a water tank by typing words as quickly as possible, focusing on accuracy skills, while the third requires you to type phrases in order to find bugs hiding under rocks. The fourth one moves on to more complex sentences and takes the form of a maze game, while the last has you typing phrases and editing mistakes to help the two characters proceed on their adventure. If you are in the market for a typing tutor, then this is a cracking one to go for. 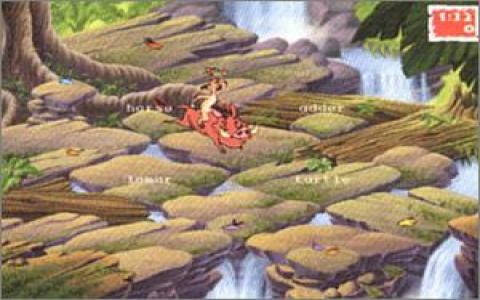 The visuals are lovely, with some charming character work and some lush backdrops. The games themselves are quite different and are actually fun to play, while also teaching some very important skills when it comes to typing. You have access to some statistics to help you chart your progress too and overall, this is a great little tool.